Things might get easier for those considering reducing their car travel this summer, as the City of Eau Claire and the UW-Eau Claire Student Office of Sustainability work together to bring bike sharing to the area. 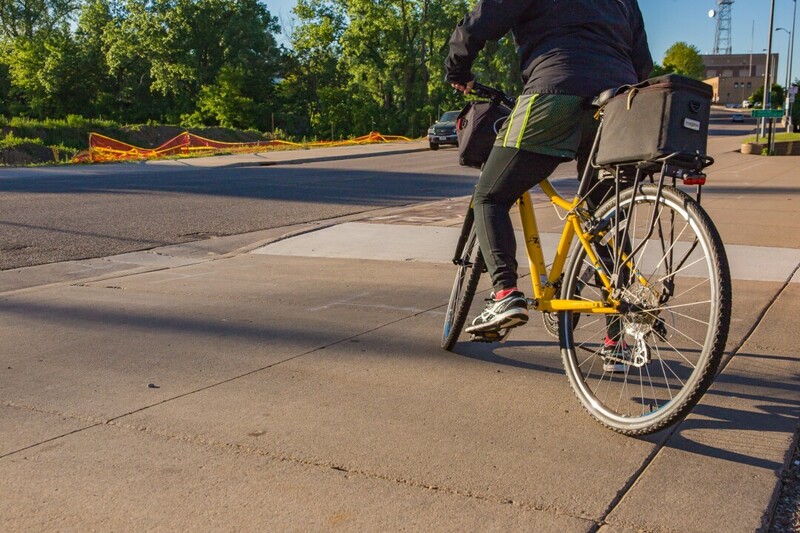 The Eau Claire City Council recently voted unanimously in favor of an ordinance outlining regulations for bike sharing programs within the city. “It’s a go,” Austin Northagen of the Student Office of Sustainability, said. “It’s been a really long effort from the office to make it happen.” He joined the cause two years ago, and is hoping such a program will come to fruition this summer. But there are still a few details that must fall into place. City planners are reaching out to bike share programs to attract interest in setting up shop in Eau Claire. Once a private company purchases a license to operate in the city, the project can spring into life. Northagen expects the operation radius will include downtown Eau Claire, Water Street, and the university. Nearly five years ago, Council Member Catherine Emmanuelle travelled to a national bike share conference; she has been advocating for such a system ever since. Bike share programs are great additions to existing public transportation systems, Emmanuelle said. They can ease the final leg of a commute, the mile or so that might lie between a bus stop and one’s workplace or home. Northagen adds that bike share programs can only achieve their full potential when used responsibly and respectfully. He advises potential users to ride safely and respect public and private property when choosing parking spots.